0.75ltr Handmade Tapered Square Spirit Decanter. Stylish and modern, this beautiful decanter brings a touch of elegance. 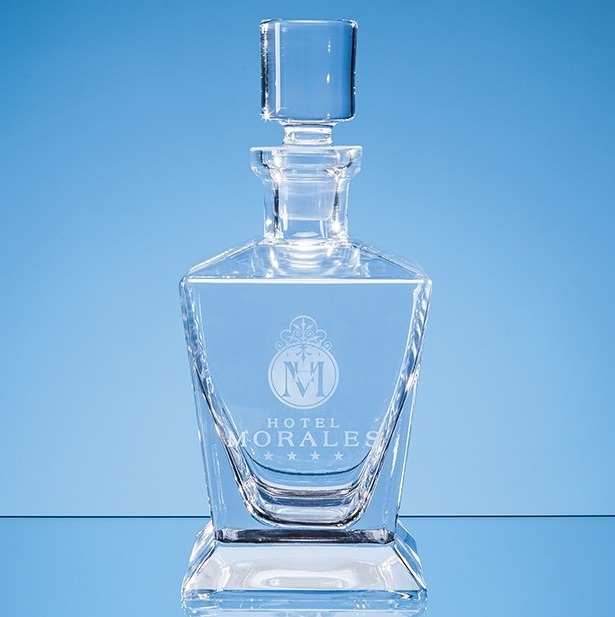 The decanter measures 255mm x 110mm. It weighs 1.7kg unboxed. It has the benefit of a large engraving area that can be personalised with any crest, logo or wording to create a gift that is sure to take pride of place when put on display at home or at work. All engraving has an additional charge as shown.